Szaflarska A, Rutkowska-Zapała M, Gruca A, et al. Neurodegenerative changes detected by neuroimaging in a patient with contiguous X-chromosome deletion syndrome encompassing BTK and TIMM8A genes. 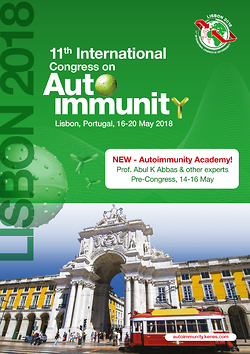 Central European Journal of Immunology. 2018;43(2):139-147. doi:10.5114/ceji.2018.77383. Szaflarska, Anna, Magdalena Rutkowska-Zapała, Anna Gruca, Katarzyna Szewczyk, Mirosław Bik-Multanowski, Marzena Lenart, and Marta Surman et al. 2018. "Neurodegenerative changes detected by neuroimaging in a patient with contiguous X-chromosome deletion syndrome encompassing BTK and TIMM8A genes". Central European Journal of Immunology 43 (2): 139-147. doi:10.5114/ceji.2018.77383. Szaflarska, Anna et al. "Neurodegenerative changes detected by neuroimaging in a patient with contiguous X-chromosome deletion syndrome encompassing BTK and TIMM8A genes." Central European Journal of Immunology, vol. 43, no. 2, 2018, pp. 139-147. doi:10.5114/ceji.2018.77383. Szaflarska A, Rutkowska-Zapała M, Gruca A, Szewczyk K, Bik-Multanowski M, Lenart M et al. Neurodegenerative changes detected by neuroimaging in a patient with contiguous X-chromosome deletion syndrome encompassing BTK and TIMM8A genes. Central European Journal of Immunology. 2018;43(2):139-147. doi:10.5114/ceji.2018.77383. X-linked agammaglobulinaemia (XLA) is a primary immunodeficiency characterised by early-onset (usually between six and 12 months of age) bacterial infections, marked reduction in all classes of serum immunoglobulins, and almost total absence (less than 1%) of circulating B cells. The prevalence of XLA is estimated to be 1 in 190,000 male births or 1 in 379,000 live births ; however, it may vary, depending on racial and ethnic groups, from 3:1,000,000 to 6:1,000,000 males . The BTK gene, mutations of which are responsible for XLA, is located at Xq21.3–Xq22, contains 19 exons, and encodes a 659 amino acid protein, composed of five different, functional domains [3,4]. In the same chromosomal region, located at Xq22.1 and 770 bp centromerically of the BTK gene, is the TIMM8A gene consisting of two exons, formerly named DDP1. Protein encoded by these gene functions as a translocase and is involved in the import and insertion of hydrophobic membrane proteins from the cytoplasm into the mitochondrial inner membrane [5,6]. Mutations in the TIMM8A gene cause Mohr-Tranebjaerg syndrome/Deafness Dystonia Syndrome (MTS/DDS), characterised by sensorineural hearing loss in childhood, followed by adolescent onset of progressive dystonia and a variety of non-obligatory neurological features. The prevalence of this rare neurodegenerative syndrome is unknown. To date, more than 90 cases (37 families) have been described [7-9]. According to a database of BTK mutations [http://databases.lovd.nl/shared/genes/BTK], the majority of disruptions of this gene are the missense changes (app. 45%), frameshifts (app. 32%), and stop changes (app. 17%). The gross deletion frequency is 7-8% . Moreover, part of these deletions includes the closely located TIMM8A gene, and sometimes TAF7L and DRP2 genes. This type of gross deletion has been described previously only in 17 patients from 14 unrelated families [11-18]. In this study, we report the first Polish patient with contiguous X-chromosome deletion syndrome including the BTK and TIMM8A genes. We present insightful molecular analysis by multiplex ligation-dependant probe amplification (MLPA) method and comparative genomic hybridisation (CGH) array, and discuss their utility in the diagnostic process. We also present a detailed clinical picture of an MTS-XLA patient, including abnormal results of neuroimaging that has not been described so far. The patient was the first child born to healthy unrelated parents. The family history was affected with epilepsy in a cousin and schizophrenia in the grandparents. The family history was negative for immunodeficiency and hearing loss. The child was healthy at birth and up to five months. At five months of age, he was referred to hospital for skin abscesses (one on the face and two in the perianal region). When he was six months old he developed generalised purulent skin infection with fever and neutropenia (600 cells/µl). He subsequently received two antibiotics: Amoxicillin and Amikacin. From this time neutropenia appeared only during infections. The boy suffered from chronic candidiasis of oral mucosa, presumably because of prolonged antibiotic treatment. At seven months of age, he presented with pneumonia, which was treated with three antibiotics (Cefuroxime, Clindamycin, and finally Amikacin) with a good clinical response. Immunological tests revealed extremely low concentrations of serum immunoglobulins: IgG (0,09 g/l), IgA (< 0,06 g/l), and IgM (< 0,04 g/l). Flow cytometric analysis showed normal percentage and elevated absolute number of T cells: CD3-8335 cells/µl (age-matched normal values: 2500-5000 cells/µl), CD4-4213 cells/µl (age-matched normal values: 1600-4000 cells/µl), CD8-3847 cells/µl (age-matched normal values: 560-1700 cells/µl). B lymphocytes were absent. Percentage and absolute number of NK cells were within the normal range: 733 cells/µ (age-matched normal values: 170-830 cells/µl). Chemiluminescence was used to study the respiratory burst of neutrophils, and it was normal (the chemiluminescent response of neutrophils occurred after stimulation with latex particles). The patient was referred to the Immunology Unit at the Children’s University Hospital in Cracow, where he received regular immunoglobulin substitution (intravenous and then subcutaneous). From this time, he had no severe infections. He was doing well until he was 2.5 years old, at which time he suffered from recurrent fevers without any other clinical signs of infection. He was treated with numerous antibiotics as well as antifungal drugs. At three years of age he presented increasing developmental retardation with the loss of speech ability. At the age of three the boy was admitted to the hospital because of progressive weakness and somnolence. About three months earlier his parents stopped immunoglobulin substitution. On admission the Division of Paediatrics and Developmental Age Neurology, Upper Silesian Child’s Health Centre, Katowice, a neurological examination revealed: anisocoria, improper positioning of the head – tilted to the left side, cerebellar ataxia, wide-based gait, and kinetic and intention tremor. The blood tests showed a lack of IgA and IgM and very low concentration of IgG. The brain MRI revealed generalised cortical and subcortical atrophy of the brain and cerebellar hemispheres, areas of abnormal signal intensity, and reduced volume of white matter; there were no contrast enhancement. The MRI picture as well as 1H MR spectroscopy suggested leukodystrophy. After a few months of regular intravenous immunoglobulin substitution, an improvement in neurological status was observed. The boy has remained unable to speak, but he understands simple commands. He presents behavioural abnormalities (irritability). Currently there are no symptoms in neurological examination. The patient presents normal auditory brainstem response (ABR). Auditory Evoked Potentials (AEP) are also normal. There are no abnormalities of middle and external ear with normal tympanogram and evoked otoacoustic emissions. The patient did not present any marked neurological symptoms probably because of his young age. The first symptoms of MTS syndrome may appear at different ages (from 18 months to 19 years of age; see Table 1). Informed consent for genetic analysis was obtained from the patient’s parents. Genomic DNA was isolated using QIAmp DNA Mini Kit (Qiagen, Hilden, Germany) from peripheral blood drawn into EDTA. DNA concentrations and quality were measured using a Quawell Q5000 UV-Vis spectrophotometer. All exons of BTK gene (reference sequence: ENSG00000010671) and exons and intron of TIMM8A gene (reference sequences: ENSG00000126953) were amplified by PCR method. Reactions were performed using 100 ng spectrophotometrically quantified DNA, 0.3 units of AmpliTaq Gold polymerase (Thermo Fisher Scientific, Waltham, MA USA), 0.5 mM of each dNTP, 2.5 mM MgCl2, and 0.5 µM of each specific primers (Genomed, Poland). The reaction volume was 20 µl. Primer sequences are available on request. To detect deletions/duplications of one or more exons of the BTK gene, MLPA analysis was performed using SALSA MLPA P210 BTK probemix (MRC-Holland, Amsterdam, The Netherlands) according to the manufacturer’s instructions. Briefly, DNA was denaturated at 98oC for 5 min and hybridized for at least 12 h at 60oC with a probe containing oligonucleotides to analyse all 19 exons of BTK gene. Next, 32 ml Ligase-65 master mix was added to each reaction and then incubated at 54oC followed by 5 min at 98oC to deactivate the enzyme. Finally, PCR was performed on 10 ml of the ligation product with FAM-labelled primers. For fragment analysis, 0.7 µl PCR products, 0.3 µl GeneScan –500 ROX internal size standard, and 9 µl formamide (Thermo Fisher Scientific, Waltham, MA USA) were run on an ABI Prism 3500 Genetic analyser (Applied Biosystems, Foster city, CA, USA). The obtained data were interpreted on the base of the copy number ratios, which were calculated by dividing the normalised mean peak areas of each exon in a sample from the patient with the normalised mean peak areas of the same exons in a sample from healthy control subjects. The data were analysed using Coffalyser software (MRC-Holland). The Agilent SurePrint G3 CGH ISCA v2 Microarray Kit 8x60K array platform was used for a comprehensive exploration of the patient’s genomic profile and careful evaluation of genome abnormalities (Agilent Technologies, Santa Clara, CA). The study was performed according to the manufacturer’s instruction with additional enzymatic digestion. 350 ng of previously isolated patient’s genome DNA was used. The first step was digestion of the patient’s and reference DNA (Agilent Technologies, Santa Clara, CA) simultaneously with RsaI and AluI enzymes for 2 h at 37ºC. Next, digested samples were attached with random primers and were labelled for 2 h by using appropriately cyanine 5 (Cy5) for patient’s DNA and cyanine 3 (Cy3) for control DNA. An excess amount of fluorescence dyes was removed with purification columns (Agilent Technologies, Santa Clara, CA). The last step was 24 h hybridisation performed at 67°C with a rotation speed of 20 rpm. The microarray results and a graphical overview were obtained using the CytoGenomics software, edition v2.9.2.4; (Agilent Technologies, Santa Clara, CA). Initial diagnosis of XLA in our patient was suggested by the very low level of serum immunoglobulins and absence of B cells, while the definitive diagnosis was established by detecting large deletions involving the BTK gene. Initial attempts of sequencing BTK gene revealed normal sequences of exons 2 to 5, but PCR reaction failed to amplify exons 6 through 19. To verify this observation, MLPA analysis was performed. As a result, an almost total reduction of the area of the peaks corresponding to exons 6-19 was observed (Fig. 1A.ii). MLPA analysis of BTK gene in the patient’s mother was also performed in order to determine the inheritance of the detected variant; however, no deletions were found (Fig. 1A.i). After the onset of neurological symptoms, further molecular tests were performed. Molecular diagnosis of MTS was based on microarray analysis. The aCGH analysis established 16 kb deletion including BTK and TIMM8A gene (Fig. 1B). The loss of the patient’s DNA fragment was accurately localised from 100 601 727 to 100 617 576 bp. Complete deletion of both exons of TIMM8A but no intron situated proximately was confirmed using PCR reaction (Fig. 1C). The scheme of detected BTK and TIMM8A genes deletion was presented on Figure 1D. MRI images showed dilated lateral ventricle and, to a lesser extent, subarachnoid spaces, which means severe atrophy. Apart from that, there were extensive, multifocal, but not diffuse white matter abnormalities. The FLAIR images showed no tissue rarefaction or cystic abnormality. There was cerebellar atrophy. No enhancement after contrast was seen (Fig. 2). MR spectroscopy revealed neurons as well as myelin damage, suggesting degenerative process and an early stage of vanishing white matter leukodystrophy (VHM). However, the MRI images were not compatible with diagnosis of VHM because severe atrophy is not typical for primary white matter diseases. Such a picture suggested instead a primary neuronal disease. The partial regression of disseminated changes in the supratentorial white matter after four months also denies VHM. MRI changes have not been observed so far in MTS-XLA patients. To date, the simultaneous deletion of at least BTK and TIMM8A genes was previously described in 17 patients, but none from Poland. Detailed characterisation of all reported cases are shown in Table 1. According to these data, all the patients with XLA-MTS presented sensorineural deafness. Additionally, patients developed dystonia, visual processing defects, mental retardation, attention deficit disorder, learning disabilities, behaviour abnormalities, and general wasting. However, these symptoms were observed in different combinations and they are not related to the extent of deletion. On the contrary, our patient presents normal hearing ability, mild mental retardation, behavioural abnormalities (irritability), and no dystonia signs. He has no speech ability, but in the past he had been able to speak some single words. He had ataxia but only for a short period of time, after the long break in immunoglobulin substitution. The data from neuroimaging in pure MTS patients published so far revealed unspecific alterations in computerised tomography (CT) scans, such as diffuse, generalised cerebral or cortical atrophy [7, 19]. In two patients with this syndrome magnetic resonance imaging (MRI) revealed atrophy of the occipital cortex. The results of the first PET study performed in a pure MTS patient exhibited hypometabolic areas over parietal, medial temporal, and frontal brain areas . Next PET examination was described by Binder et al. in 2003 . It revealed a pronounced reduction of metabolism in both occipital lobes, including the visual cortex, but also in the basal ganglia and both rostral parietal lobes. However, there are very few data on neuroimaging in MTS-XLA patients. In one patient, CT of the head was normal , and in the other, MRI of the brain and cervical spine was also normal . There are no data of PET examinations in MTS-XLA patients. In our study, a genetic basis of the disease was established by an array CGH analysis because the MLPA method was insufficient. The high resolution of aCGH allows an indication of changes in copy number variation even of a single gene. Therefore, the application of such analysis has increased in genetic abnormality diagnostics and was used to establish a diagnosis for patients 13 to 17 with XLA-MTS (Table 1). That is why we recommend array CGH analysis for more accurate diagnosis of gross deletions that comprise more than one gene. In conclusion, on the basis of previously described cases (Table 1), we suggest that complete deletion of TIMM8A and BTK genes is associated with milder clinical picture in comparison to classical MTS syndrome. However, the observation period of these patients was very short (Table 1). Here, for the first time, we have detected neurodegenerative changes in MRI and MR spectroscopy in an XLA-MTS patient. We do not know if these findings are typical for this disease due to the very small amount of data about neuroimaging in XLA-MTS patients. That is why a description of each new case would be valuable to extend our knowledge about this rare syndrome. The authors would like to thank Professor of Child Neurology Marjo S. van der Knapp from VU University Medical Centre, The Netherlands for providing a professional description of e thMRI pictures of our Patient. This work was supported by the “O zdrowie dziecka” Foundation of the University Children’s Hospital in Cracow. 1. Winkelstein JA, Marino MC, Lederman HM, et al. (2006): X-linked agammaglobulinemia: report on a United States registry of 201 patients. Medicine (Baltimore) 85: 193-202. 2. Smith CIE, Berglöf A: X-Linked Agammaglobulinemia. In: GeneReviews® [Internet]. Pagon RA, Adam MP, Ardinger HH, et al. (eds.). University of Washington, Seattle 1998; 1993-2017. 3. Tsukada S, Saffran DC, Rawlings DJ, et al. (1993): Deficient expression of a B cell cytoplasmic tyrosine kinase in human X-linked agammaglobulinemia. Cell 72: 279-290. 4. Vetrie D, Vořechovský I, Sideras P, et al. (2012): The gene involved in X-linked agammaglobulinaemia is a member of the Src family of protein-tyrosine kinases. J Immunol; 188: 2948-2955. 5. Koehler CM, Leuenberger D, Merchant S, et al. (1999): Human deafness–dystonia syndrome is a mitochondrial disease. Proc Natl Acad Sci USA 96: 2141-2146. 6. Jin H, Kendall E, Freeman TC, et al. (1999): The human family of deafness/dystonia peptide (DDP) related mitochondrial import proteins. Genomics 61: 259-267. 7. Tranebjaerg L, Schwartz C, Eriksen H, et al. (1995): A new X linked recessive deafness syndrome with blindness, dystonia, fractures, and mental deficiency is linked to Xq22. J Med Genet 32: 257-263. 8. Binder J, Hofmann S, Kreisel S, et al. Clinical and molecular findings in a patient with a novel mutation in the deafness-dystonia peptide (DDP1) gene. Brain, 2003,126:1814-1820. 9. Ha AD, Parratt KL, Rendtorff ND, et al. (2012): The phenotypic spectrum of dystonia in Mohr-Tranebjaerg syndrome. Mov Disord 27: 1034-1040. 10. Stenson PD, Ball EV, Mort M, et al. (2003): Human Gene Mutation Database (HGMD), 2003 update. Hum Mutat 21: 577-581. 11. Jin H, May M, Tranebjaerg L, et al. (1996): A novel X-linked gene, DDP, shows mutations in families with deafness (DFN-1), dystonia, mental deficiency and blindness. Nat Genet 14: 177-180. 12. Richter D, Conley ME, Rohrer J, et al. (2001): A contiguous deletion syndrome of X-linked agammaglobulinemia and sensorineural deafness. Pediatr Allergy Immunol 12: 107-111. 13. Pizzuti A, Fabbrini G, Salehi L, et al. (2004): Focal dystonia caused by Mohr-Tranebjaerg syndrome with complete deletion of the DDP1 gene. Neurology 62: 1021-1022. 14. Sedivá A, Smith CI, Asplund AC, et al. (2007): Contiguous X-chromosome deletion syndrome encompassing the BTK, TIMM8A, TAF7L, and DRP2 genes. J Clin Immunol 27: 640-646. 15. Brookes JT, Kanis AB, Tan LY, et al. (2008): Cochlear implantation in deafness-dystonia-optic neuronopathy (DDON) syndrome. Int J Pediatr Otorhinolaryngol 72: 121-126. 16. Jyonouchi H, Geng L, Törüner GA, et al. (2008): Monozygous twins with a microdeletion syndrome involving BTK, DDP1, and two other genes; evidence of intact dendritic cell development and TLR responses. Eur J Pediatr 167: 317-321. 17. Arai T, Zhao M, Kanegane H, et al. (2011): Genetic analysis of contiguous X-chromosome deletion syndrome encompassing the BTK and TIMM8A genes. J Hum Genet 56: 577-582. 18. Shaker M, Lorigiano TH, Vadlamudi A (2016): Xq22.1 contiguous gene deletion syndrome of X-linked agammaglobulinemia and Mohr-Tranebjćrg syndrome. Ann Allergy Asthma Immunol 116: 578-579. 19. Jensen PK, Reske-Nielsen E, Hein-Sørensen O, Warburg M (1987): The syndrome of opticoacoustic nerve atrophy with dementia. Am J Med Genet 28: 517-518. 20. Tranebjaerg L, Jensen PK, Van Ghelue M, et al. (2001): Neuronal cell death in the visual cortex is a prominent feature of the X-linked recessive mitochondrial deafness-dystonia syndrome caused by mutations in the TIMM8a gene. Ophthalmic Genet 22: 207-223.